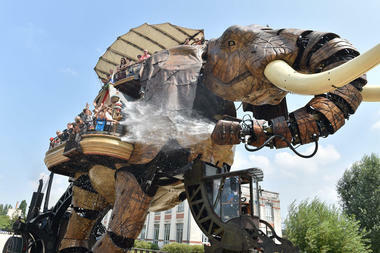 Discover incredible urban sculptures on Nantes Island on the Loire river. 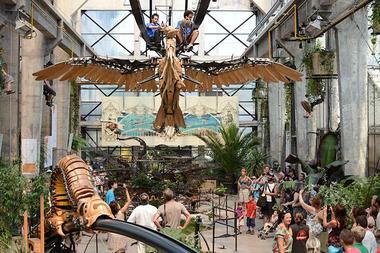 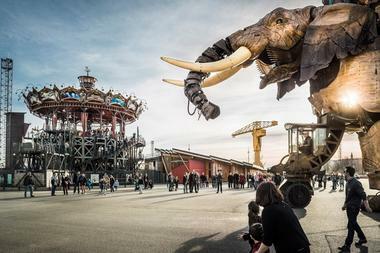 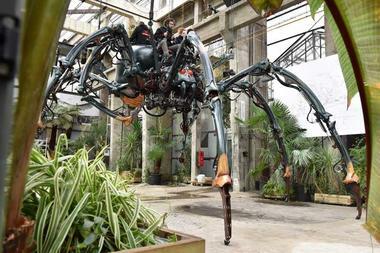 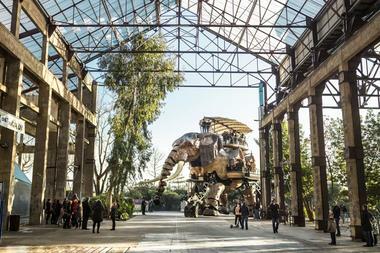 The Machines de l'île is a very unusual artistic project. 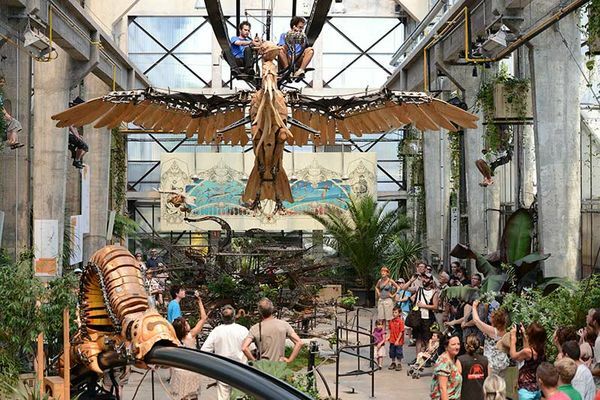 The brainchild of Francois Delarozière and Pierre Orefice, this project is a combination of the ‘invented worlds’ of Jules Verne, the mechanical universe of Leonardo da Vinci and the industrial history of Nantes, all on the remarkable site of the city's former shipyards. 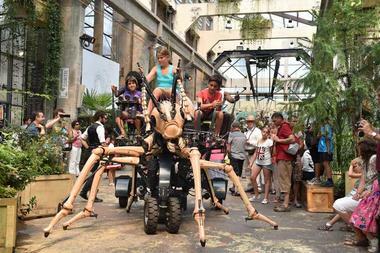 Come along and explore the imaginary treetops, savannah or underwater worlds! 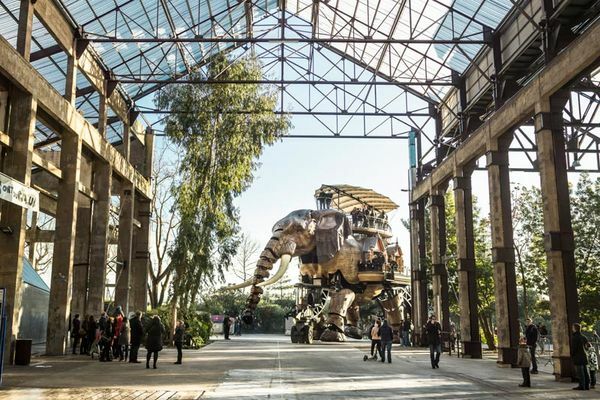 Delarozière and Orefice have built a fantasy universe of living machines that sometimes escape from the workshop to explore the Ile de Nantes and its constantly evolving surroundings. 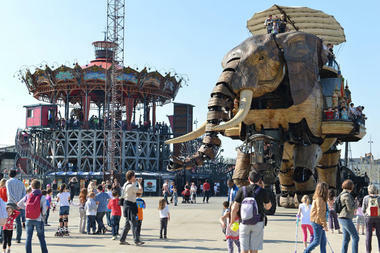 Visitors can discover interactive sculptures like the Great Elephant, the Marine Worlds and the Heron Tree. You'll see the machine operators working the machines. 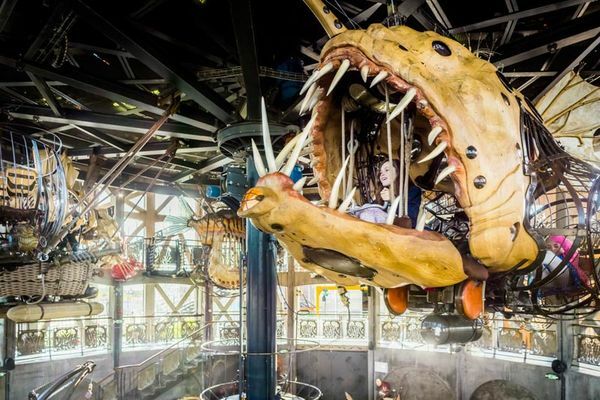 They'll even let you take the controls! 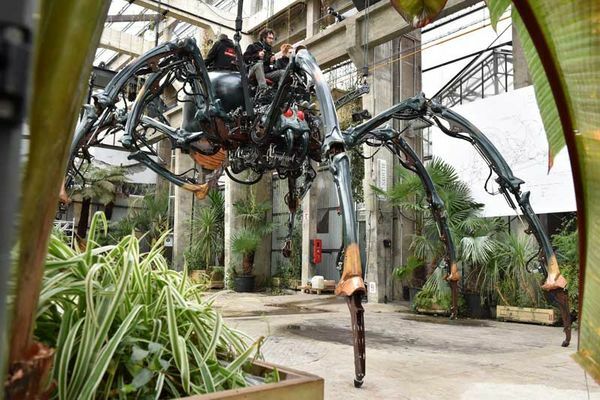 Seeing the machines in motion is a completely fascinating experience.